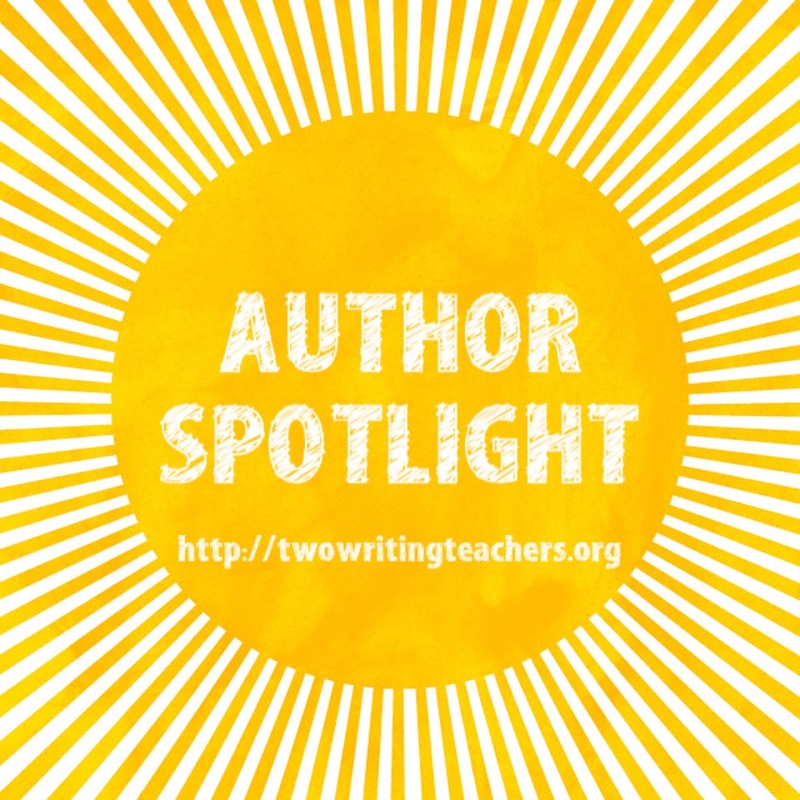 This week at Two Writing Teachers we will be featuring seven published authors and illustrators. We hope this blog series will inspire you to read, write, and create. Also, we hope these posts will be useful to you in the classroom when you use an authors’/illustrators’ texts with your students. Sometimes my family goes bowling on Sundays. The first time we played, there were no lanes available with bumpers, those little guardrails that stop your ball from rolling into the gutter. My youngest kids are 5 and 7, and their balls rolled into the gutters more often than not. It didn’t matter. We got French fries. The second time we went bowling, we scored a bumper lane. No more gutter balls! We were all winners! My 5-year-old was knocking down all the pins! My 7-year-old perfected a technique of ricocheting the ball off the bumpers like a pinball! Every time I knocked down all the pins, but I knew some of my balls would have been gutter-balls if the bumpers had been down, I felt like a cheater. It wasn’t earned. Sometimes you need some help, sure. Training wheels. Bumpers in the bowling lane. But you can’t rely on them forever. At some point the success has to come from only you. As adults, we sometimes forget this. We live in a world where so much is handed to us. I want to see a video of a skateboarding goat, I want to know what’s the capital of Botswana, or how to make Baked Alaska. I can find all these in seconds. I can drive to the grocery store to buy gelato. I can get Band-Aids with Mickey Mouse on them. I can hear a song I like on the radio and then buy it and find the lyrics and sing along (a significant upgrade from when I was 8 and got the song by holding my cassette recorder up to the radio speaker, and got the lyrics by carefully transcribing them). The world is a wondrous place. But you know what? The things that are most worth doing, the things you will feel proudest of, are still things that are hard and fraught with potential for failure. “I want to write a children’s book!” people tell me, as if, in this world of ours, they can buy their already-written book from the internet. Those are the easy ones to point at. You’re all shaking your head now. You’ve met those people. I do it too though, when I hope it’ll all be easy. Writing is hard. Sometimes it’s unimaginably hard. And it’s made harder by the fact that maybe, just maybe, it doesn’t matter. Writing is imaginary. It’s words from my head on imaginary paper on my computer. It’s ones and zeroes and nothing at all. I’m not a doctor, I’m no air traffic controller. No one will die if I delete my entire book. No one perishes if I leave my story languishing. But it’s my job and it’s what I love to do, and if you’re in that position about anything, you have to do it well. You have to do your absolute best. Don’t turn in half-baked garbage. Who is that benefitting? You might think it’s allowing you to check off a box that says DONE, but it’s not. If you know it could be better, then take the time to make it awesome. Why would you not? My first published picture book, Snappsy the Alligator (Did Not Ask to Be in This Book), came to me fairly easily. I got lucky on that one. No gutter balls. My second book was different. The characters changed and then the plot changed and it changed again and at one point my editor let me know gently that it still wasn’t working and I wrote five completely different versions in a week. I spent a lot of that week lying in bed, curled on my side, moaning. The writing was giving me cramps. It was the hardest writing had ever been. What kept me going was the firm desire to do my very best. If I make a book, and my name is on that book, it had better be the best darn book I can make it. That second book, which is called The Society of Underrepresented Animals, was so hard to write, and I am so proud of it. Because you can’t be proud of something you got handed. You can’t be proud of it if your final finished product didn’t take any work or skill on your part. It’s worth it. You can do it. My family bowled with the bumpers and it was fine but felt fake. And then we realized that we could push the bumpers right down. It’s an old bowling alley and not very mechanized and the way to get rid of the bumpers is to kick them gently with your foot, and they slide right back down. Our score was a lot lower after that, but we earned every single pin we knocked down. My 7-year-old knocked down 8 pins with no bumpers, and did a little dance. She’d earned it. Look at your work, at your writing. Are you pushing yourself to make each story better than the last? Are you pushing yourself to make every story as good as it can be? Take your time. There’s no rush. The bumpers are the thoughts in your mind that say you can’t do this. They say you’ll never get any better. The bumpers are liars. Once you kick them down, they cease to exist, and that scares them. Julie Falatko is the author of Snappsy the Alligator (Did Not Ask to Be in This Book), illustrated by Tim Miller (Viking) and two more upcoming picture books from Viking. She lives in Maine with her family, where they always kick the bumpers down. This giveaway is for a copy of Snappsy the Alligator (Did Not Ask to Be in This Book). Many thanks to Viking Books for Young Readers for donating a copy for one reader. For a chance to win this copy of Snappsy the Alligator (Did Not Ask to Be in This Book), please leave a comment about this post by Saturday, June 4th at 11:59 p.m. EDT. I’ll use a random number generator to pick the winners, whose names I will announce at the bottom of this post, by Monday, June 6th. If you are the winner of the book, I will email you with the subject line of TWO WRITING TEACHERS – SNAPPSY. Please respond to my e-mail with your mailing address within five days of receipt. Unfortunately, a new winner will be chosen if a response isn’t received within five days of the giveaway announcement. Thank you to everyone who left a comment on this post. A special thank-you to Julie for taking the time to respond to so many of our readers’ comments! I used a random number generator and Susanne’s number came up. Therefore, she’ll win the copy of Snappsy. Life has to include failure -yes!! The bumpers are a great analogy! Thanks for sharing. It’s so very true. We have to kick the bumpers down and give ourselves the challenge of revision and producing the best drafts we can. Thanks for the reminder! Yes! I think the other hard part about it is that sometimes in the middle of the writing, it’s hard to know. Sometimes it seems easier, and that writing might be fantastic too, and inspired. And sometimes it’s very hard and the writing is terrible. it’s important to just keep going forward, always. It’s that idea of intrinsic rewards – you just feel good about the hard work you’re doing. It’s a hard thing to translate sometimes, though, when we can get so many things instantly. It’s hard to convince people (students!) that actually working hard at something might be a good idea. It always is, though. I’m tempted to share this post with my students ( who don’t always take pride in their work). I love the line “if I make a book, and my name is on that book, it had better be the best darn book ever.” Students need to make that connection between great work and their name! Yes! When I was little and wrote “books” in those small bound paper journals, they seemed so real. They had my name on them, and my words inside! That alone was a thrill. And I was in love with my words. I don’t think it occurred to me that they could be made better. Loved this line, “I spent a lot of that week lying in bed, curled on my side, moaning. The writing was giving me cramps.” Writing is hard! “Kick down the bumpers” is great advice! Oh man, I’m not kidding about that week. It was so hard! It really did make my stomach hurt! it is so important for kids to realize that success is intrinsically tied to effort. This is a post I’m going to share with my 5th graders! Thank you, Julie! Oh, I’m so glad! I love 5th grade writers — they’re able to write such imaginative and smart stories, and so many of them are really firm in what they like to READ, so that makes it fun when they’re figuring out what to WRITE. I love this post. Such good advice to remember. This makes me so happy. And remember — we ALL struggled to get an agent and get noticed. It wasn’t easy for any of us, I promise. The best thing you can do is keep writing, write from your heart, and never compromise. Kick down the bumpers. That’s great. I think I just found my summer saying. Hurray! I need a summer saying. So far all I’ve got is the entire Hamilton soundtrack on an endless loop in my brain. Going to hold onto this whole section . . .
“Look at your work, at your writing. Are you pushing yourself to make each story better than the last? Are you pushing yourself to make every story as good as it can be? 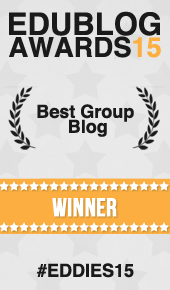 Yay, I’m so glad this resonated with you! Exactly! My first-graders and their parents are a little shocked at the beginning of the year at my expectations- I don’t DO everything for them. After a few weeks, the children are working independently. And at the end of the year? They are proud (as am I) of the finished product because they worked for it. Thank you for this encouraging article! I’ll reread it several times. I love that you’re this encouraging of independence with first graders! Very true comments, many worthy things are difficult to earn, but let’s keep trying. Yes, let’s! It’s not always easy, but it IS worth it. Great post! “Kick down the bumpers!” would make a great bumper sticker. There’s so much to think about in this post. Thanks for sharing your experiences and your insights! Ha — I wouldn’t want to put it on my car bumper — I’d be too afraid someone would take it literally and start kicking at my car! What a great image to remind us to press on when whatever we are working on isn’t immediately successful. We need to challenge that instant mindset. This helps! Thanks! Thank you! I’m so glad this resonated with you! We all DO need to press on and keep working hard! I am just wrapping up my first year teaching. I would absolutely love to add this to my classroom library. My library is small, but constantly growing every payday😉. Quality books like this are the kind I love to add to my shelves. Yay! And congrats on your first year of teaching! I’m so glad you found it inspiring! It’s not often that a very obvious life metaphor throws itself in my lap, and I was happy for this one. I say: work harder when it’s something you put your heart into, and don’t worry about working so hard if what you need is, say, a video of a dog who doesn’t know how to go down stairs properly. I think “Kick down the bumpers” is going to be my new motto. Love it! Thank you for this post. The message applies to so many things in life. I can’t wait to read Snappsy! I’ve been trying to get it from our library and it is always checked out. I will have to reserve it I guess. Love this post! Such a great lesson. I’m inspired. My 5th graders are in a memoir unit, I am going to share your “bumpers” post with them tomorrow as it’s memoir! I hope I win your book. I love that you’re doing a memoir unit with fifth graders! I bet they have some really cool perspectives on how their lives are going so far. I think the hardest thing for me, and probably many writers, is accepting the book doesn’t come out perfect the first time but that’s OK. I’m supposed to revise — just not during the first draft! OH GOOD HEAVENS you wouldn’t believe how terrible my first drafts are. Some of them are so bad I’m surprised they don’t spontaneously combust from embarrassment. Great post! And thanks for the chance to win! Sometimes I get grumpy that writing can be so hard, but mostly I love that it is — those of us who can finish a first draft, and a second, and a fifth, are an elite and special crowd. Thanks for a great post, Julie. It’s always good to be reminded that true success comes with a lot of hard work. Thanks for the great post, Julie. It’s good to be reminded that true success comes with a lot of hard work. Your comment made me wonder…I wonder if success ever comes without hard work? Does anyone ever effortlessly stumble into success? I’d bet not. Some may make it look easy, but I bet they always always worked incredibly hard for it. Nice post! Great parenting AND writing advice. There’s nothing better than the feeling of accomplishment that comes with hard work. I agree! The harder you work on something, the better the success is! Or the better the success FEELS, is what I meant to say, but maybe the success itself is better too. Oh good! I’m so glad. What an inspirational subject and yes the world is getting too easy for kids. I’d say the world is too easy for all of us in a lot of ways! We can order shoes from our phone and a magical van brings the shoes to our house the next day. That takes almost no effort at all! It’s amazing how much we can get with no effort. But the stuff that’s really worth it takes grit and sweat. One of my favorite lines from this post: “The things that are most worth doing, the things you will feel proudest of, are still things that are hard and fraught with potential for failure.” I think we sometimes try to “help” kids so much that we take those opportunities for failure away- and what’s the value in that? Nothing feels better than earning something that was hard- even when he hated it until we succeeded. Such wise words, Julie! Makes me think of the learning from last summer’s TCWRP’s writing institute: Don’t put scaffolds in place without a plan for removing them. What a great reminder this post is. Oooooh, I love the quote “don’t put scaffolds in place without a plan for removing them”! I love this piece! Your analogy is perfect. I am going to save this to read whenever my children or I need a reminder. I appreciate this analogy to use with students and teachers about taking risks as writers! Oh good, I’m so glad! Great post! You have to let yourself fail, overreach, grow. I love that this is a reminder for teachers ourselves, not just for our students! We need to continue to take risks to remind us how our students feel each day. It’s hard sometimes. It’s so much more comfortable to not take risks sometimes. But so much better to go out there and do new big things! Such a great message for everyone. We’ve been exploring growth mindset and your thoughts can tee up teachers for digging into the work we do with kids right from the beginning of the year. It’s going to be hard for them, and us! That Mindset book was a lifechanging read for me and how I think about approaching everything and teaching my kids to do the same! Oh Julie, how I love this post for a bout a billion reasons. I am going to go make coffee and reread it so I can start the list of all the reasons why. There is so much to your wise words about the value in “earning it” And I kind of feel like going bowling soon . . . This comment makes me so so happy, Carrie! Your message is a great reminder for parents and teachers-to pass to their children, and for the adults themselves. Julie, you’ve given me a whole ‘nother image for writers’ cramp! Thanks for this kick-in-the-bumpers post! Now, if you get frustrated with writing, you can go outside and kick down imaginary bumpers to feel better! I love that…”because you can’t be proud of something you got handed.” I think everything takes hard work and commitment. I can’t wait to read the book. Yay! Most things do take hard work and commitment. Some SHOULD be easy peasy. But the stuff you’re proudest of takes work! Thank you for sharing the reality of hard work and the rewards! Love “kicking down the bumpers” – what a great metaphor for children’s learning. Thanks for sharing! Great morning read! I’ve been thinking a lot about the “when” to remove the bumpers. Too soon and the failure factor can result in giving up. Too late and the challenge to succeed can diminish and interest wane. Thanks for sharing. Oooh, what a thought-provoking comment. Yeah, that’s hard. And the other hard part is that it’s going to be so individual for each student. I think the key is probably to have small trial runs where they try something themselves, but the stakes are pretty low. And if they accomplish that, they can move on and up, but if they don’t , they can work harder with the bumpers still in place. Ha, I love that! I have a lot of stories cluttering up my head too — I definitely need to get them out. And I do think you can still write with guides for sure — it’s not like you start bowling without having any clue what to do with the bowling ball. You just need to remember to keep going, keep writing, and push yourself to do your best. It’s good to know that even though the first book seemed easier to create you stuck with the second book and are happy with the final product!! So many times we ask kids to bring pieces of writing to final draft that they no longer like and mechanically go through the motions of editing and improving. Ooooh, that’s a hard one. I’ve heard a lot of writers say that you should make sure you’re writing things that you like, because you’re going to be reading it a billion times. There have been some stories that I liked when I originally wrote and revised them, but when I revisited them later, they didn’t seem as great to me. Luckily, I’m in a position where I can put it in a drawer, since I’m not getting graded on it. But tell your students that it happens to grownup authors too! Great analogy to use with children, “kick down the bumpers”. Julie, this piece is so wonderful I shared it with my colleagues and read it twice. Kick down the bumpers indeed. I love when you let us inside your head. HI KIMBERLEY! I am so so glad you like this, friend. It’s so hard. We want to protect them. They’re so cute and small. Sometimes I have to physically leave the room when my kids are struggling with something, to stop myself from intervening. Love It! What a great life lesson – especially these days – when EVERYONE on the team gets a trophy!?! The shorthand for that in my family is “participant ribbon.” When my kids all did rec camp track, the older kids got ribbons for what place they came in the race, but my younger kids all got participant ribbons for every race they won, and the whole thing made them ALL mad. Great insight and a wonderful reminder! Those thoughts ruin lots of things in our lives, don’t they? YES! Why are those thoughts such jerks? We’re so much meaner to ourselves than we are to our friends. What an inspirational post! Not just for writers but for humans.